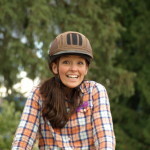 I had the great pleasure, once again, of testing out and reviewing two products from Australia based equine lifestyle company, Horsely. 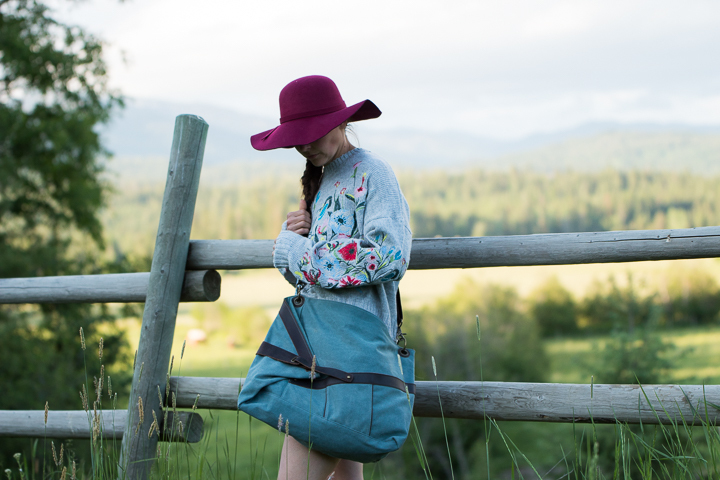 Their products range from jewelry and boho clothing to equine styled home products, bags, and totes. 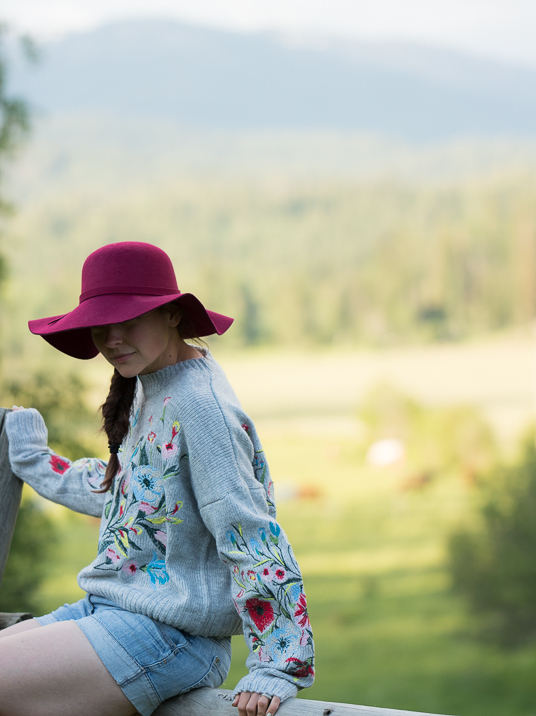 The first item I choose was the Baha Boutique Knitted Pullover. 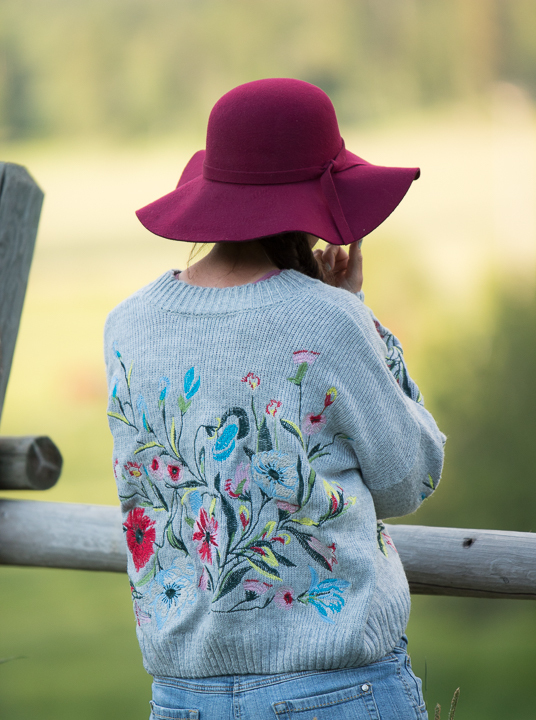 I love the colorful embroidered floral pattern on this sweater. This is not a super heavy sweater so you won’t feel weighed down by it nor are you limited to only wearing this in the winter. The embroidered flowers did take some time to relax before it was really comfortable to wear. When it first arrived the embroidery felt stiff and rigid; understandably so given the amount of embroidery. After letting it hang and then bounce around my room a while as I tried it on a few times with different outfits, it did soften and relax. This is a slouchy style top but is fairly short from collar to hem, so depending on your torso length this could have more of a “crop top” feel. The size I am wearing in the photos is small. 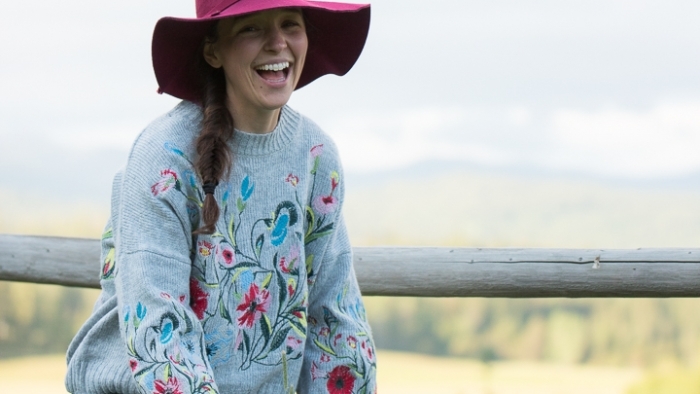 If I was wearing this sweater out and about I would put a tank under it as the world doesn’t need to see my stretch-mark-battle-scars-of-pregnancy. This! Bag! I was super excited about this Rucksack Messenger Bag. 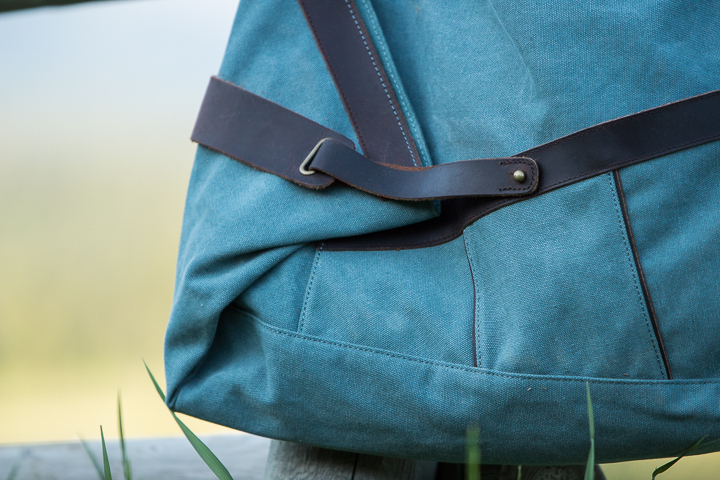 It is canvas with real leather accents and metal hardware. There were no shortcuts taken in the making of this product. Everything about it is quality. 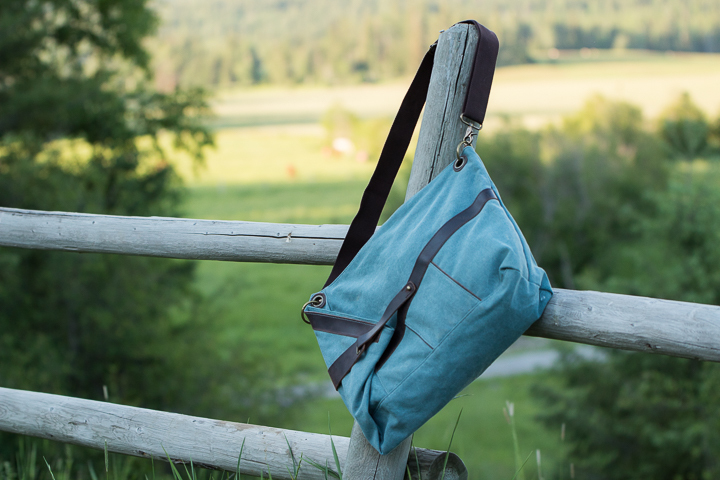 The unique folding design gives this bag an attractive visual and functional twist. You can actually open this bag two different ways. 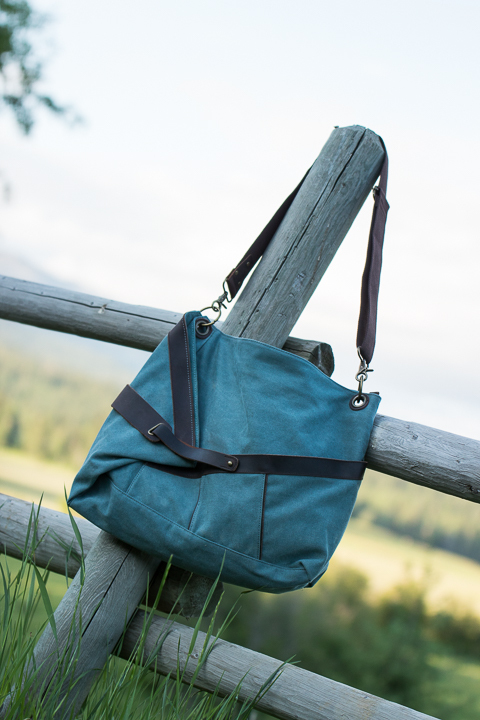 There is the top zipper that you would expect from a shoulder bag plus, there is a smaller side opening. To access this opening you unfold the side of the bag, making it even bigger! Have I mentioned that this bag is large? You could fit a small child in this bag or one of those little yappy designer dogs or you could smuggle a whole watermelon into the movie theatre. Once again I am extremely pleased with these Horsely products and I would absolutely recommend them. The design, construction, and function are all top notch. P.S. 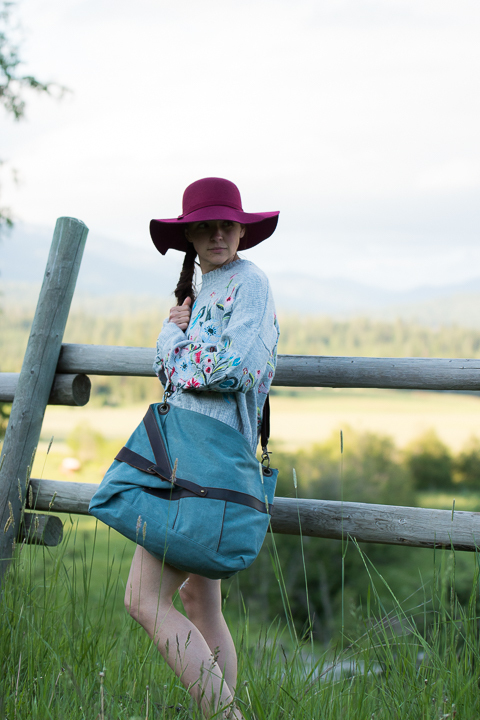 If you see me walking into the movie theatre with my Horsely Messenger Bag, I can neither confirm nor deny that I may or may not have contraband snacks in my super awesome bag.